Diesel car registrations fell 37.2% in the first three quarters of 2018, with petrol now accounting for over half of all new fleet cars during the same period, according to SMMT data. 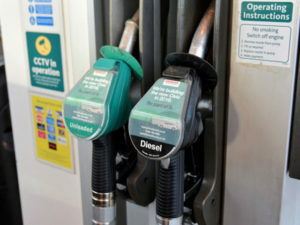 More than half of all new fleet cars are now petrol-powered. Overall, March registrations numbered 474,069 units, down 15.7% year on year, though that decline is in part due to changes to Vehicle Excise Duty last April, the SMMT said. Retail volumes recorded the largest drop, down 16.5% to take 48.2% of the total, but fleet (-15.0%) and business (-14.3%) registrations were both significantly less than in March 2017. However, Jon Lawes, managing director of Hitachi Capital Vehicle Solutions pointed out that March and year-to-date figures are still the fourth highest on record. Diesel continued to see a marked reduction in demand, with March registrations down 37.2% year on year, and 33.3% in the first quarter of 2018. Year-to-date, diesel cars account for a third (33.5%) of the total market, compared to 44.0% in 2017. There are also signs that fleets are beginning to make the switch. Over half (53.7%) of new fleet cars in March, and 51.9% of registrations in the first quarter were petrol-powered. Year-to-date, diesel has a 42.8% share of fleet registrations, while electric, hybrid and hydrogen vehicles have a 5.2% share – the latter is pretty much in line with the total market. The LCV market was more bouyant; 94,374 were registered during the first quarter, down 3.7% year on year, with the SMMT saying the bulk of that decline was in the 2.5-3.5-tonne GVW class. Light vans (2.0-2.5 tonnes) were up 2.1% year on year, with improvements recorded among pickups and the largest vans. Mike Hawes, SMMT chief executive, said: “Consumer and business confidence has taken a knock in recent months and a thriving new car market is essential to the overall health of our economy. This means creating the right economic conditions for all types of consumers to have the confidence to buy new vehicles.